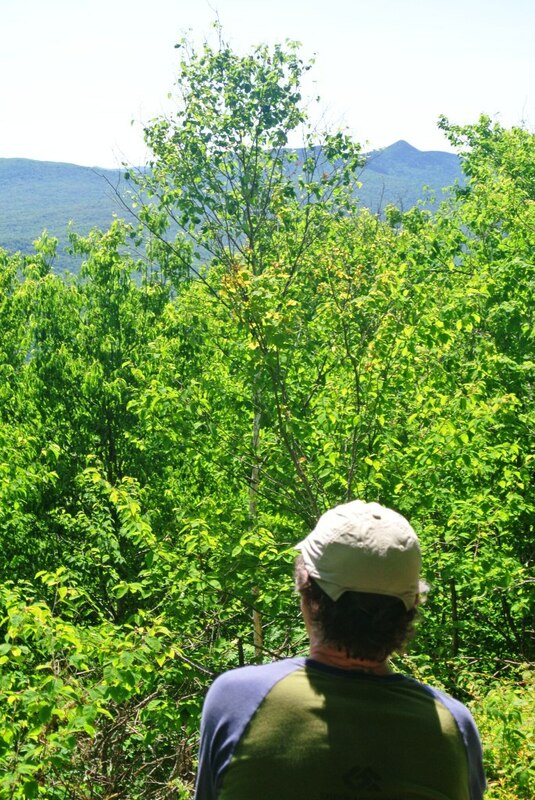 Saturday was a beautiful, cool early summer morning – a perfect morning for a run in the mountains. It was also a good morning for a run with the local trail running Meetup group “The Middlebury Trail Enthusiasts“. While this group of runners gets together for shorter runs (such as Wednesday Evening “Trail Running 101” for beginning runners, or those exploring the trails for the first time), our Tuesday night 6-mile runs on various parts of the TAM, we also try to work in longer, more adventurous trail runs over the weekend. Some of the gang are aspiring to complete one of the longest runs in the area, The Moosalamoo Ultra, held in early August, so it seemed like a good idea to explore some of the course early in the summer. I completed (you will note, I did not use the word “competed” – I just wanted to survive!) this run a few years ago – albeit barely, and my description of the race, and some of my “ultra newbie” observations can be found in my older post based on my experiences. While I myself am not planning on participating in this race in a few weeks, when the group organizer Heather sent out a call for runners who wanted to try out the most mountainous segment of the course, it seemed life a good fun morning run. We ended up with seven runners, including a group from Chittenden County – a club first – meeting in the parking lot for the Moosalamoo Campground in the morning. 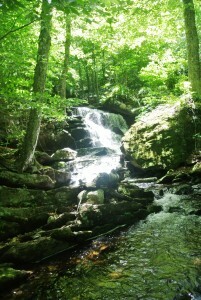 To get to this trailhead, you need to head just past Ripton on Rt 125, and take the forest service road about a mile past the town, known as the Ripton-Goshen Road. A few miles up this road, and before you get to the first true landmark, the Blueberry Hill Inn, you will see a right hand turnoff towards the Voter Brook Overlook. Take this, and the parking lot for the Moosalamoo Trailhead will be on your right in less than a half mile. The race itself starts at the Blueberry Hill Inn, and follows the road for the first two miles or so, but we chose to excise the road portion, and start off with the long ascent of Moosalamoo. The Moosalamoo Trail traverses up the side of the mountain for about two miles before reaching the junction with the Oak Ridge Trail, where we took a left turn for another half mile or so before the high point, the summit of Moosalamoo. 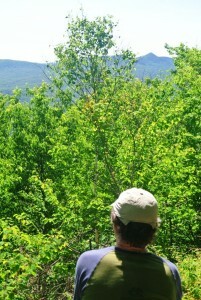 While there are limited views at the summit through the trees, the clear blue sky allowed us to look east towards the main ridge of the Green Mountains. After a breather at the top, having finished most of the day’s climbing, we descended down the far side on my favorite part of this run – the ridgeline between the summit and the more frequently visited Rattlesnake Cliffs, reknowned for their great views of Lake Dunmore, Silver Lake, and the Green Mountains. 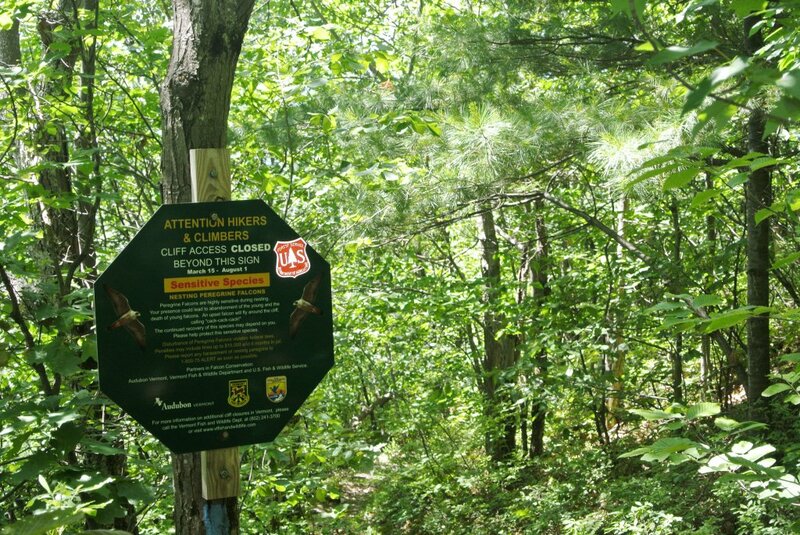 While we did see some great views of Lake Dunmore through the trees, we were unable to access the Rattlesnake Cliffs themselves; they are closed to the public until August 1st due to nesting Peregrin Falcons. While this is a great view, all temptation to break the rules was overcome by signs warning of a 6 month imprisonment for doing so. No Thanks! After passing the side trail leading to the forbidden cliffs, we had a long, easy descent down to the confluence of the Oak Ridge Trail with the North Branch Trail, veering left in a meadow. We took this trail, which I have previously described on a few occasions to ascend back to the cars. At one point, we took a breather on this last, far more modest ascent, and a member of the group noticed a nice little waterfall that I had never noticed before, not far from the trail. Amazing what you see when stop, and look beyond your own two feet. Not much later, we reached the end of the North Branch Trail, across the road from our parked cars. This ended up as about a 7.5 mile run, which was much slower than most would expect due to the challenge of the terrain. 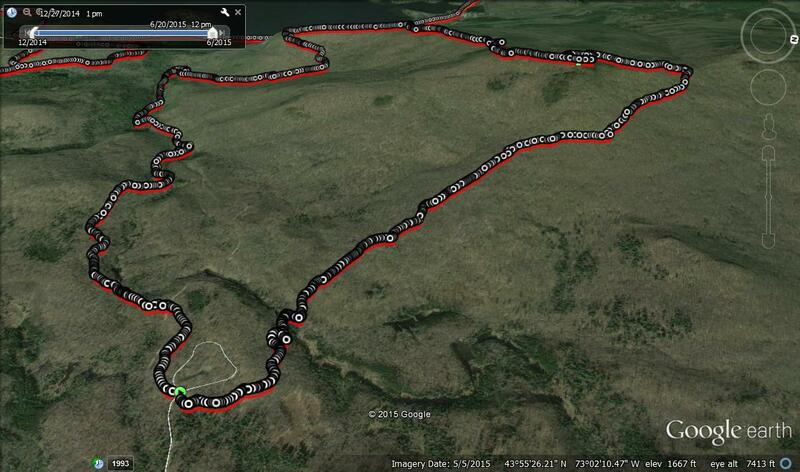 We ended up climbing and descending a total of about 1700 vertical feet, making this also a great hill workout. I hope it also increased the confidence of my running partners who are planning on running the upcoming ultra – after all they just completed the most challenging part of the race! It was also fun meeting up with some new running partners. Jeff I always love reading your posts. I remember reading the one about your thoughts on the Moosalamoo Ultra before my first attempt at it. The post gave me a good bit of insight into the course, and I’ve found that I’ve gone back to read it again, before running it again. Do you ever planning on running that one again? Thanks Su! I have toyed with the idea of doing it again, but when I did it last time, I pushed myself so hard that I couldn’t race for about 6 months afterwards. I would be a wiser competitor now, no doubt, but for the time being 26.2 seems to be my “sweet spot”. Hi Jeff, Another great post – thanks! My husband and I stayed at the Blueberry Hill Inn last fall and did some hiking in the area – starting at the campground and up Moosamaloo mtn. if memory serves me correctly. We thoroughly enjoyed the experience. As we were hiking, I couldn’t help but think about how great it would be to run the trails. 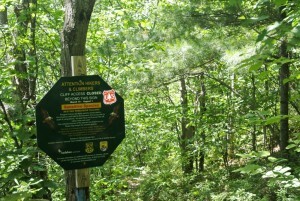 Funny, we also do Tues Night Trail runs here in Ottawa. Cheers!